CardSecure combines CardConnect’s powerful PCI-validated point-to-point encryption (P2PE) and patented tokenization for powerful payment data protection. Sensitive data is encrypted at the point of interaction, whether a credit card number is swiped, dipped or keyed into a terminal. 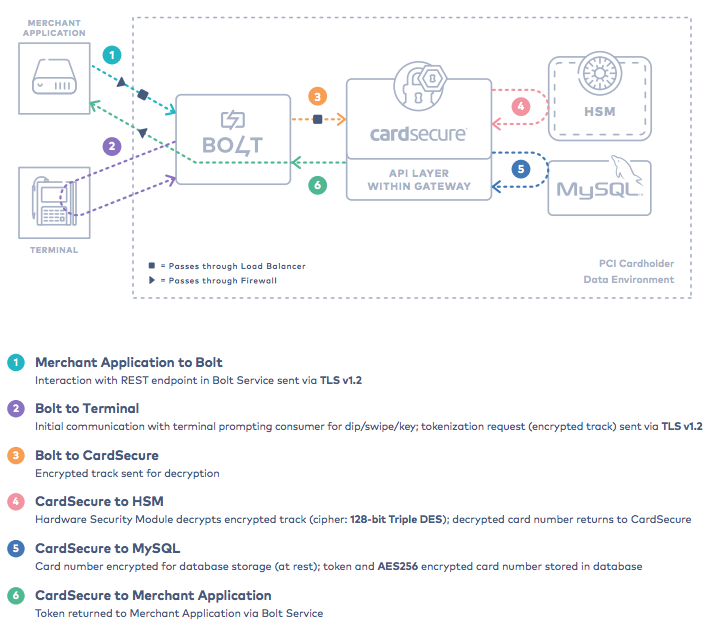 Encrypted data is securely escorted to our cloud-based PCI-compliant CardSecure vault, where it is tokenized. This irreversible tokenization solution replaces sensitive information with valueless tokens, which are useless to a criminal hacker should a business’s system or network be breached. 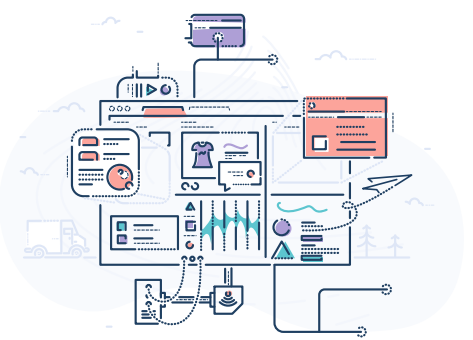 Tokens are then securely returned to the system and can be used across a business’s omnichannel environment for the security of all payment acceptance needs. Compliant with data integrity checks including the Luhn test, CardConnect’s tokens are completely unique to each of our customers, applying only to a merchant’s associated accounts and identification numbers. Tokens can be permanently generated to support recurring payments or new tokens can be generated for one-time use every time the card is accepted. Tokens generated are completely unique to each merchant and cannot be used outside of a merchant’s CardConnect instance. CardSecure is seamlessly integrated with ERP systems like Oracle, SAP and Infor using our complete suite of REST APIs and our support teams dedicated to guiding businesses from planning to implementation. The CardSecure solution for software vendors (ISVs) is integrated with our Bolt P2PE solution. Bolt P2PE is CardConnect’s cloud-based solution that allows businesses to seamlessly integrate payment acceptance into any existing systems. The solution also includes Bolt P2PE terminals which protect every transaction with a combination of P2PE and EMV technology. 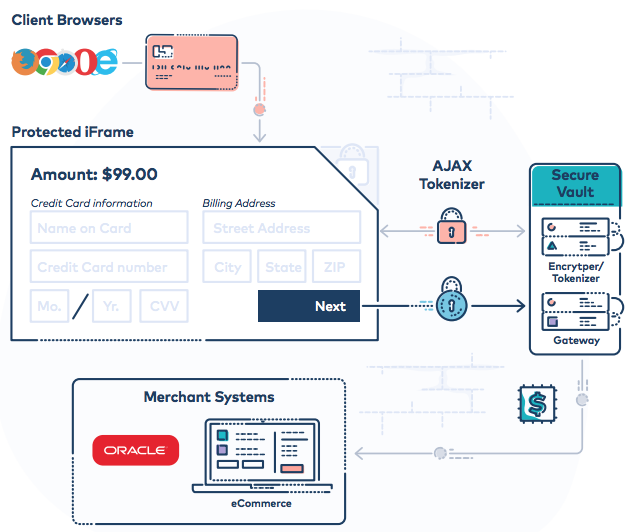 For online shops looking to remove their e-commerce platforms from the scope of PCI Data Security Standard controls and audits, CardConnect’s Hosted iFrame Tokenizer is used to securely process card-not-present transactions as it tokenizes data input by customers making a purchase on a website or mobile app’s payment page. CardConnect recognizes businesses may have needs beyond our standard integrations. In these cases, we are pleased to assist customers (and their existing providers) who wish to use other terminal applications and integrate with our hosted services. In this case, CardConnect can provide terminals injected with CardConnect keys but utilize terminal applications from other providers. This scenario is consistent with our PCI DSS and potentially with our P2PE validation if the terminal application is a validated P2PE component.